The POW! WOW! 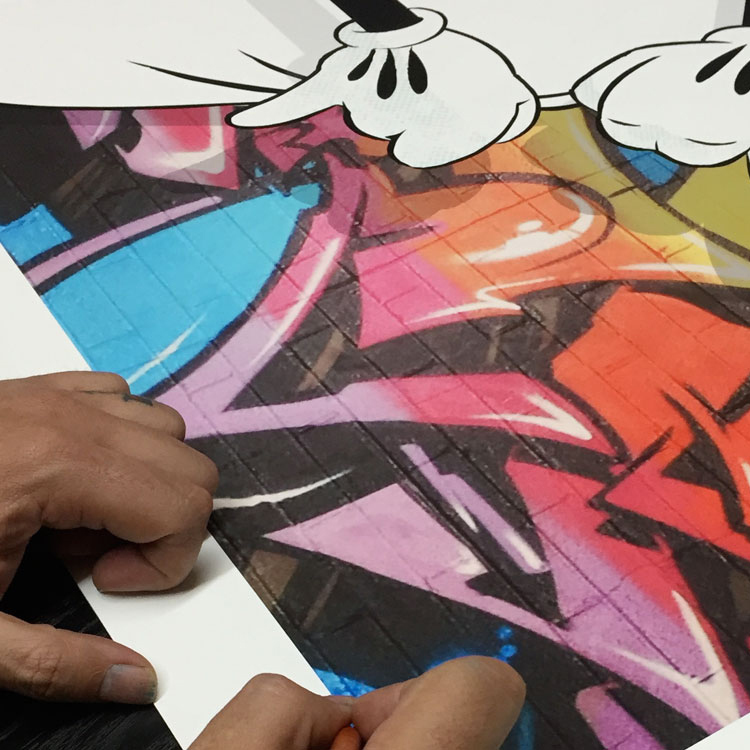 Hawaii x 1xRUN 2016 print suite is in full swing and we are excited to welcome back the one, the only OG Slick. The Hawaiian native now resides in Los Angeles, but always finds time to get back to Hawaii for the world's premier mural throw down every February. We caught up with Slick to get the lowdown on the first three prints of his latest series "Biting The Hands That Feed U." 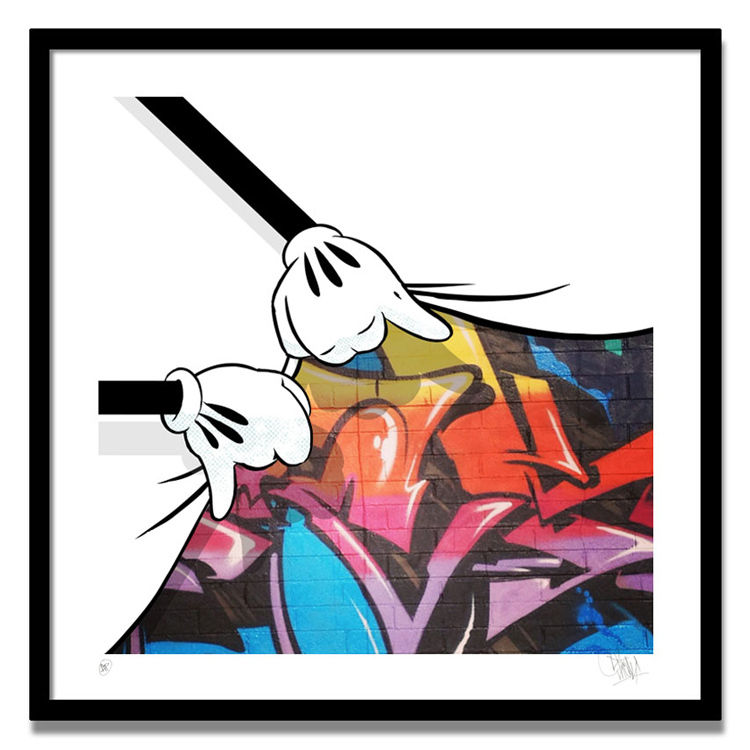 The series kicks off with Slick's signature hands pulling back the curtain on a wall of graffiti with A Peeling, after that Slick takes queues from M.C. Escher with Hand To Hand before wrapping things up with his CMY Kutter. In the words of the infamous artist? 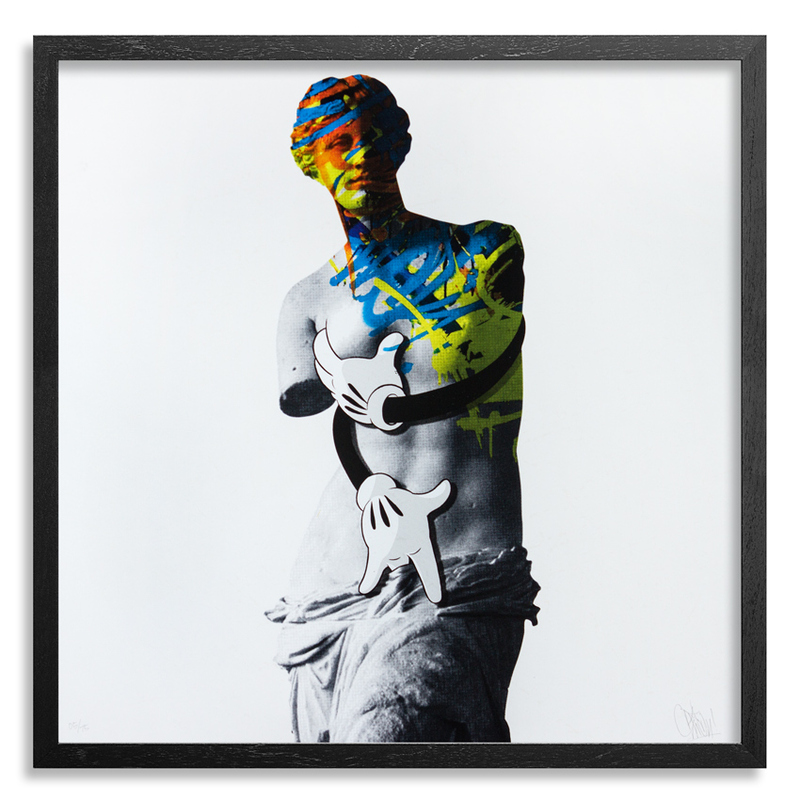 "This series came about while brainstorming for my wall at POW! WOW! People recognize me for the iconic LA Hands, which we adopted as my brand Dissizit's logo. Los Angeles is where we are based, but I want everyone to know that it's even bigger than just LA. I have seen so many variations of the hands over the years and everybody claiming that they thought of it first. I thought it's 'bout time to take 'em back. Own it." Slick said of this latest series. Read on below as we catch up with Slick to discuss A Peeling (dropping 2/12) Hand To Hand (2/19) and CMY Kutter (2/26)?Each week there will also be limited quantities available of discounted 3 print sets for each edition, so be sure to snag yours while you can? 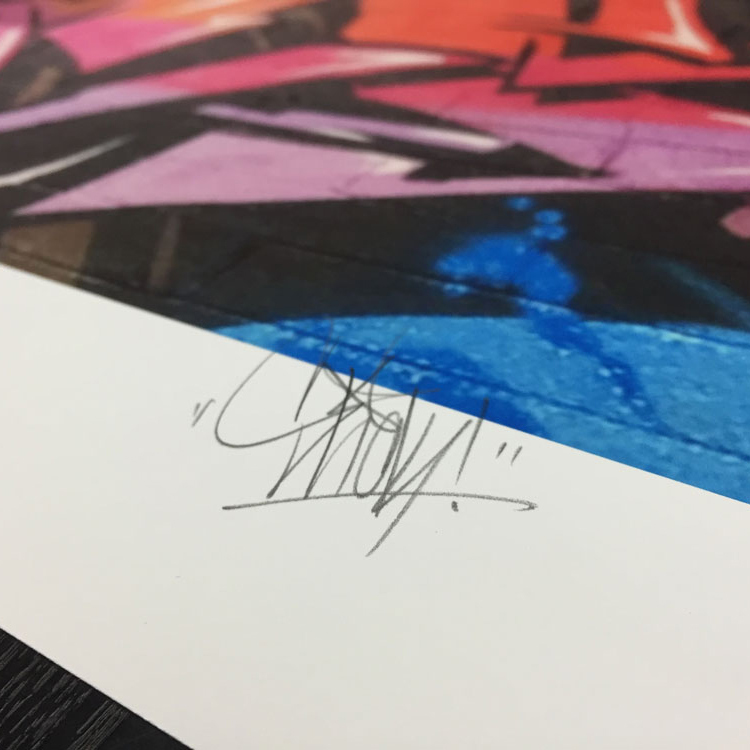 This RUN is signed, numbered and comes with a Certificate of Authenticity from OG Slick and 1xRUN. Whether it's painting a mural, designing a sneaker, formulating a paint scheme for an automobile, art directing graffiti for a video game, creating an entire collection season after season for Dissizit, or as small as signing his name for a fan, Slick treats each and everything he touches as a work of art that's worthy of being Slick. 25+ years in the game and Slick still has shown no signs of slowing up.